parent company model being a benefit because it allows closer cross-agency working within the network that rivals such as WPP which operate a holding company model. You can subscribe in print here or download the iPad issue immediately. Reported billings across the group were up 6.8% to £46.186 billion with £5.831 billion coming from net new business. It cited as its hotspots, creative agencies J. Walter Thompson Worldwide, Ogilvy & Mather, Y&R, Grey and United which generated net new business billings of £898 million. GroupM, the group’s media investment management company, which includes Mindshare, MEC, MediaCom, Maxus, GroupM Search and Xaxis, which together with Tenthavenue, generated net new business billings of £4.377 billion. So far this year, revenue in January is up 6.7%. Sir Martin said the group's focus in the coming year is twofold. Firstly, revenue growth from a leading position in faster growing geographic markets and digital, premier parent company creative position, new business, "horizontality" and strategically targeted acquisitions. Secondly, a continued emphasis on balancing revenue growth with headcount increases and improvement in staff costs/net sales ratio to enhance operating margins. Most of the Group's revenue continues to come from advertising and media segments of the business, accounting for £5.1 billion – and growing at 12%. In 2014, 36% of the Group’s revenue and net sales came from direct, digital and interactive. Data investment and management was the worst performing segment within the business declining 4.7% to 2.4 billion. 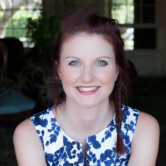 It did not split out specific figures for the Australian market, but divisions within the group – specifically GroupM Australia – are expected to have taken a hit as a result of the costs of the recent audit into TV reporting irregularity. Earlier this week GroupM Australia chairman John Steedman declined to comment on how much the process has cost. 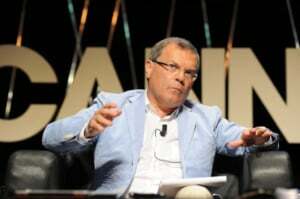 WPP plans to better incentivise its operating companies to work more closely together on collaborative projects for clients in the coming year. The news comes as WPP reports a 4.6% rise in revenue to £11.529 billion ($A22.75 billion), and a 12% pre-tax profit hike to £1.452 billion. The group, which owns creative agencies including Ogilvy, JWT and Grey and media agencies MediaCom, Mindshare and MEC, as well as a raft of smaller agencies globally, outlined its focus on building more “horizontality” into the group, with different agency disciplines working more closely together and working on more group pitches. Good progress has been made in the pharmaceutical and shopper marketing space, said Sir Martin Sorrell, CEO of WPP. “Improved cooperation and coordination” has already been built into short-term incentive plans, but WPP may increase the proportion of operating company incentive pools that are allocated on the basis of Group-wide performance in 2015. “Horizontality has been accelerated through the appointment of 46 global client leaders for our major clients, accounting for over one third of total revenue of almost $19 billion and 16 country managers in a growing number of test markets and sub-regions," said Sir Martin in WPP's annual results statement. Last year, Ford put in place its Blue Hive model in Australia, a cross-agency unit combining media partner Mindshare, and creative and digital shops JWT and Wunderman under one roof. Separately, in the current issue of AdNews in print (March), Dentsu Aegis CEO Luke Littlefield talks about Dentsu's parent company model being a benefit because it allows closer cross-agency working within the network that rivals such as WPP which operate a holding company model. You can subscribe in print here or download the iPad issue immediately.